Spend a full day exploring the natural beauty and anthropology of Vietnam. 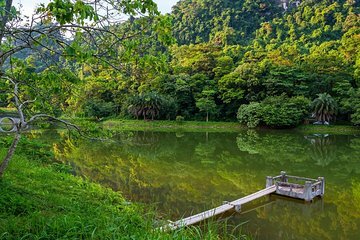 From Hanoi, travel 75 miles (120 kilometers) to Cuc Phuong National Park, which encompasses a tropical forest and primate rescue center. Learn about the flora, fauna, and ancient inhabitants of the area and visit the “Cave of Prehistoric Man.” Lunch at a local restaurant and entrance fees are included.